Our house opens up to four large rooms plus a patio that’s easy to furnish (thanks to over 50-pc., including an upright piano), and includes a movable staircase and an expandable floor. At night, flip on the two light fixtures. Who lives here? 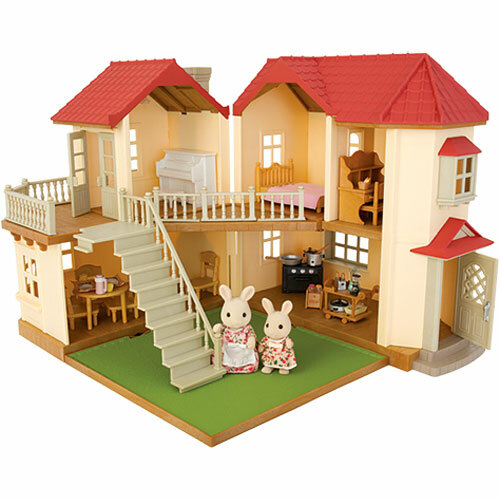 Two Calico Critters rabbits – with lots more families and furniture sets available. Requires 2 AA batteries, not included. From International Playthings LLC, for ages 3-8 yrs.